I know it doesn’t look like much. 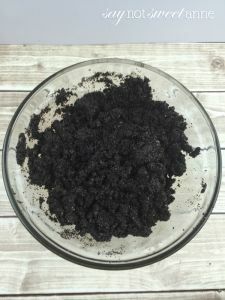 I considered not even sharing this Coffee Scrub because it looks, well, like dirt. But let me tell you – you can’t judge this scrub by its color. 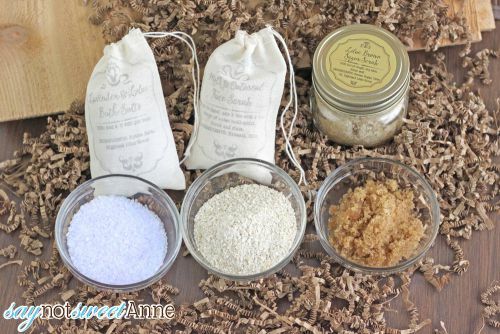 I’ve been looking for a while for a good facial scrub to use periodically with my DIY Face moisturizer and DIY Thyme Toner, but with all the damage done to the Great Lakes with microbeads, I wasn’t really in the mood to select something off the shelf. 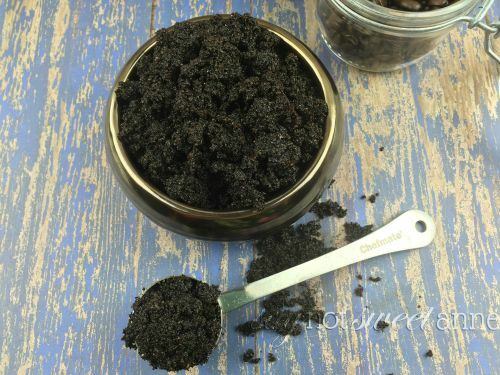 Coffee Scrub to the rescue! I like to drink coffee (when mixed with chocolate) but it also has some nice benefits when applied topically. Coffee is full of antioxidants, and its acidity can help to provide a chemical exfoliation on top of the mechanical act of scrubbing. Caffeine in coffee can restrict blood vessels, which minimizes redness and puffiness. There are even some studies that suggest it might reduce cellulite. Plus, with the addition of moisturizing and anti-bacterial coconut oil, I feel confident using the scrub sparingly on my face as well as liberally everywhere else! Combine the coffee and the sugars in a bowl and then add the coconut oil. Mix until the scrub is thoroughly combined. Depending on the temperature of your room, the coconut oil might require a little elbow grease in order to mix well. 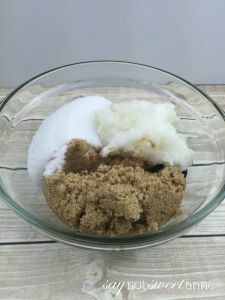 Overall, the process is a lot like the brown sugar scrub I made for my mother a while back. The basic scrub premise leaves room for a TON of possibilities! My lotion is incredibly greasy, and it’s not soaking into my skin, just staying on top being all greasy, what can I do differently? Hey Murcia! 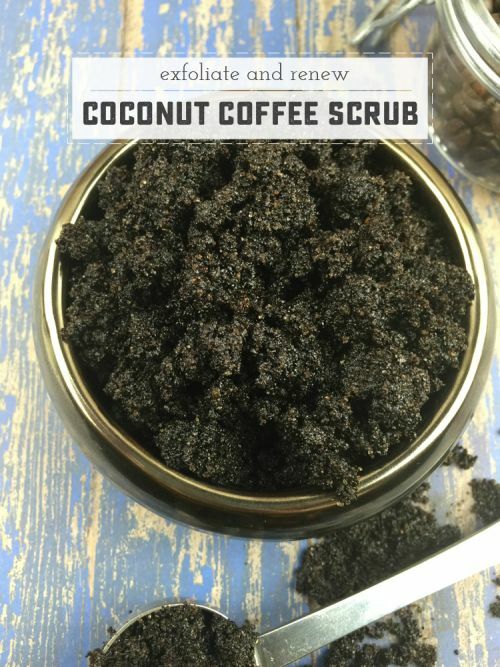 This is a coffee scrub recipe, not a lotion. It definitely won’t soak into your skin, its meant to scrub on and wipe off. I hope that helps! Hi! Can I use the coffee grounds after I have used it to make coffee?? Or does it have to be fresh coffee grounds from the container?? Thank you!! Hey Jorge! Used grounds is preferable!